In October of 2015, I was on a road trip to New Mexico that took me though the old Route 66 town of Holbrook, Arizona. Holbrook is famous as the home of the Wigwam Motel, which has been featured in numerous movies for its teepee-shaped rooms. 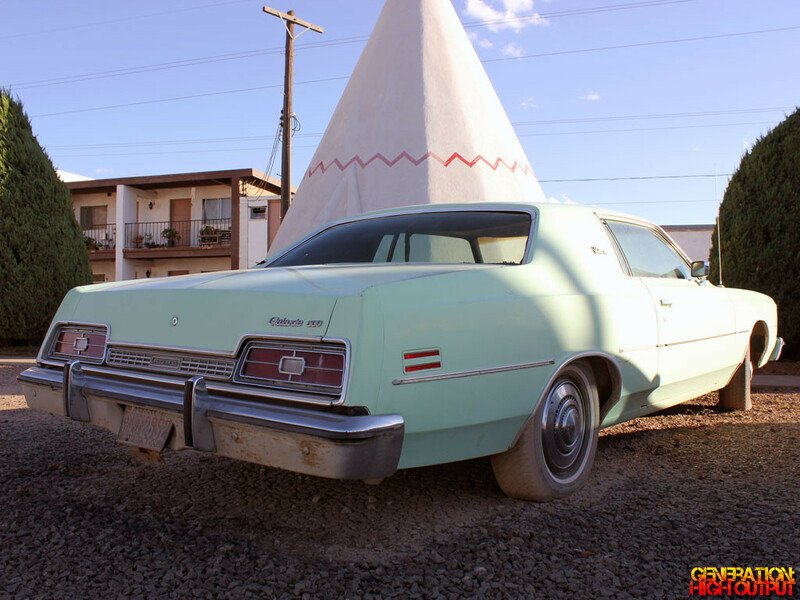 The Wigwam plays up to tourists with a bunch of old cars parked on the property, ranging from 1940s to 1970s vehicles. 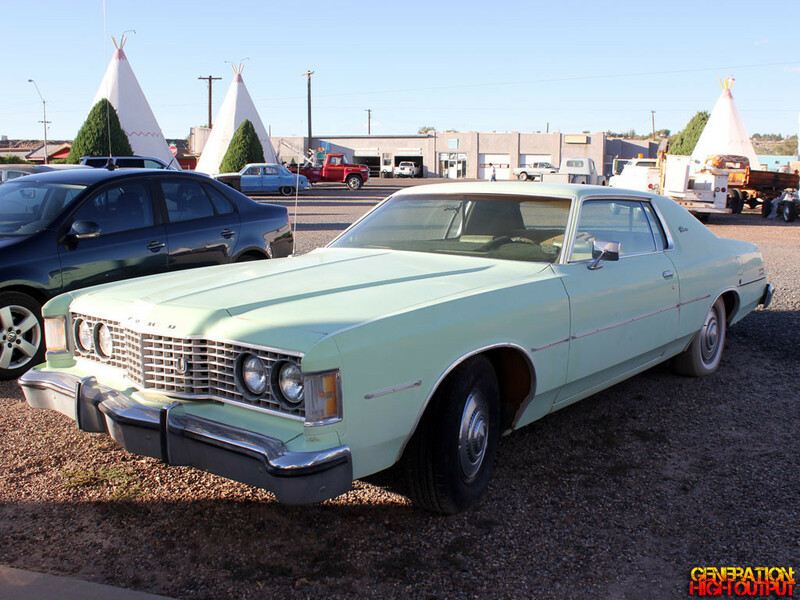 Skipping past the Studebaker and the Oldsmobile, I went right for the malaise-era 1970s Ford Galaxie. This has to be one of the last years for the Galaxie, maybe a ’73 or ’74? It certainly looks a lot less pretty than the earlier ones. The original Galaxie was a thing of beauty – a streamlined vehicle for the jet age with taillights inspired by a jet engine or a rocket ship. With its stacked headlights and slab-sided body, it was a car that stirred the emotions. By the 1970s, the Galaxie had become a bloated behemoth of a vehicle, restyled to conform to Federal Crash laws and its engine de-tuned to comply with emissions regulations. The car which was once available with a 360 hp V8 engine in the 1969 ThunderJet was now relegated to an anemic 163 hp V8 by the time production ended in 1974. 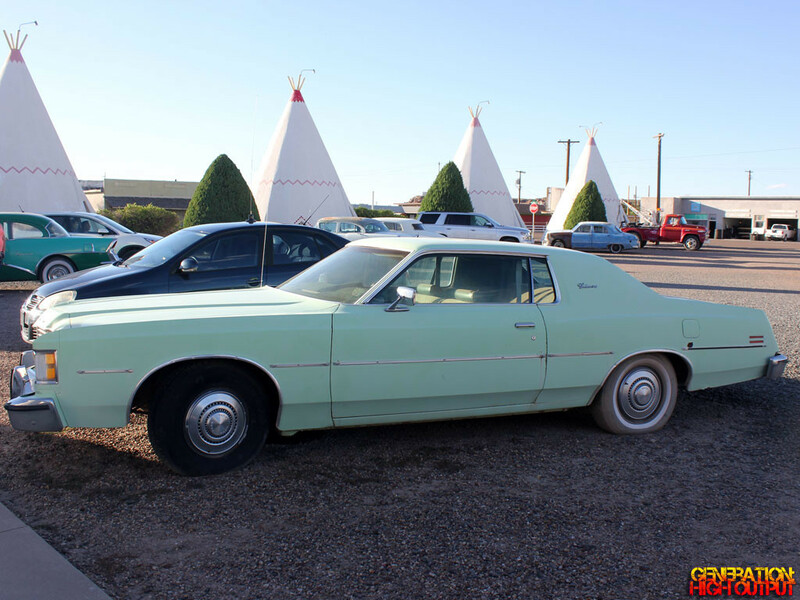 This entry was posted in Driven and tagged 1970's, Ford, Galaxie, malaise era by Trevor Freeman. Bookmark the permalink.